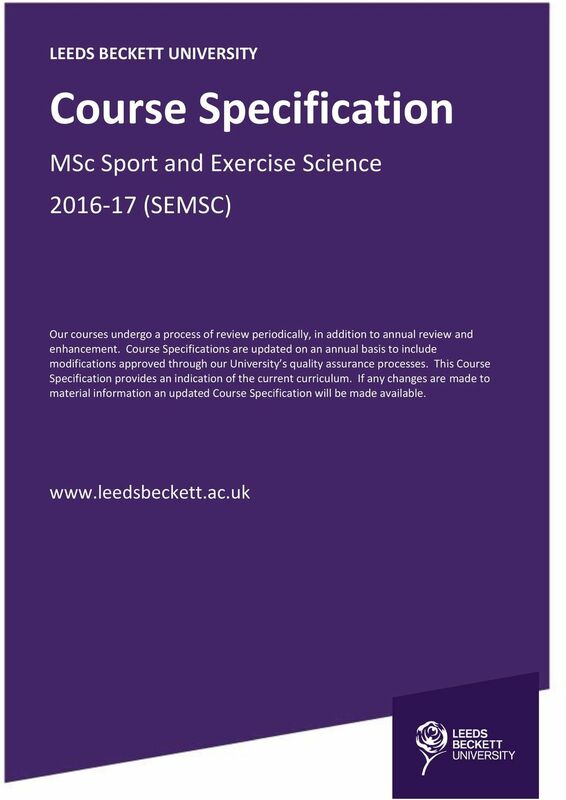 1 LEEDS BECKETT UNIVERSITY Course Specification MSc Sport and Exercise Science (SEMSC) Our courses undergo a process of review periodically, in addition to annual review and enhancement. Course Specifications are updated on an annual basis to include modifications approved through our University s quality assurance processes. This Course Specification provides an indication of the current curriculum. If any changes are made to material information an updated Course Specification will be made available. 3 which creates a highly valuable learning experience with clear vocational and professional significance. Therefore, the content of the MSc in Sport and Exercise Science has been carefully designed to provide quality assured professional training to meet the needs of the market and to foster life-long learning in participants. 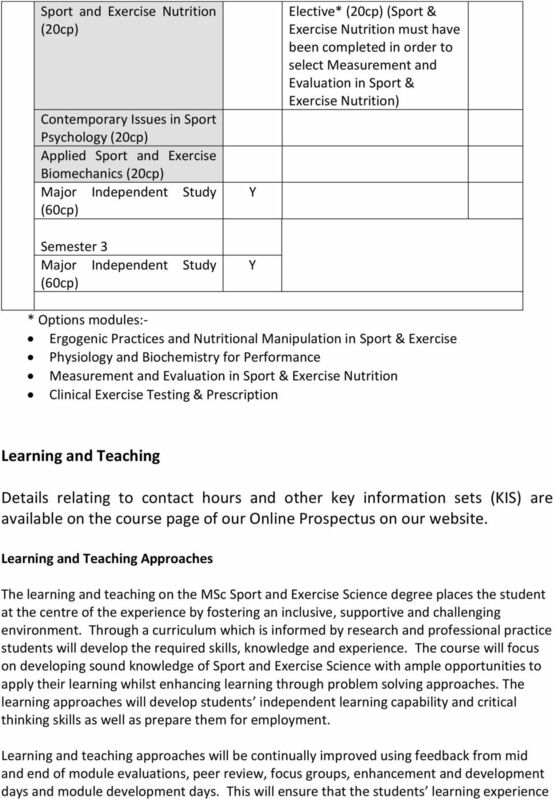 Professional Subject Context The MSc in Sport and Exercise Science is not subject to external reference points such as Professional, Statutory or Regulatory Bodies. 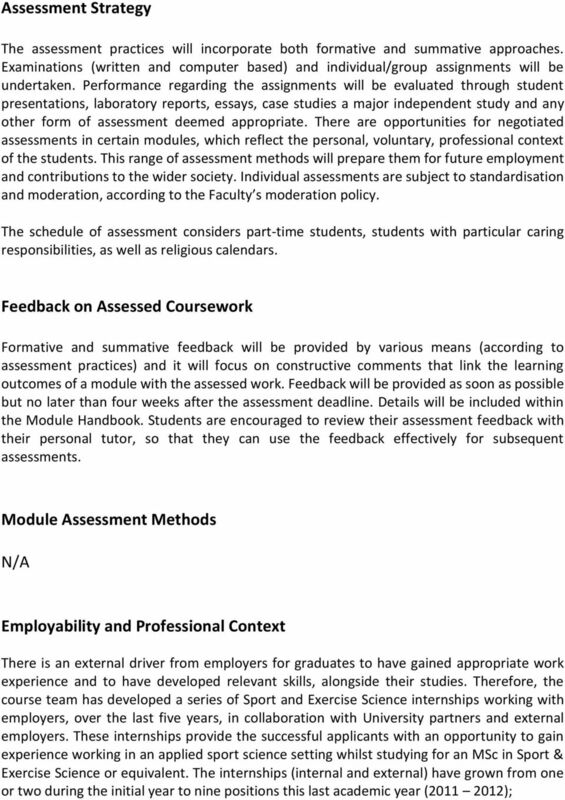 However, the course aims and learning outcomes are aligned with several of the key competencies required for those students wanting to gain accreditation (e.g. British Association of Sport and Exercise Sciences). 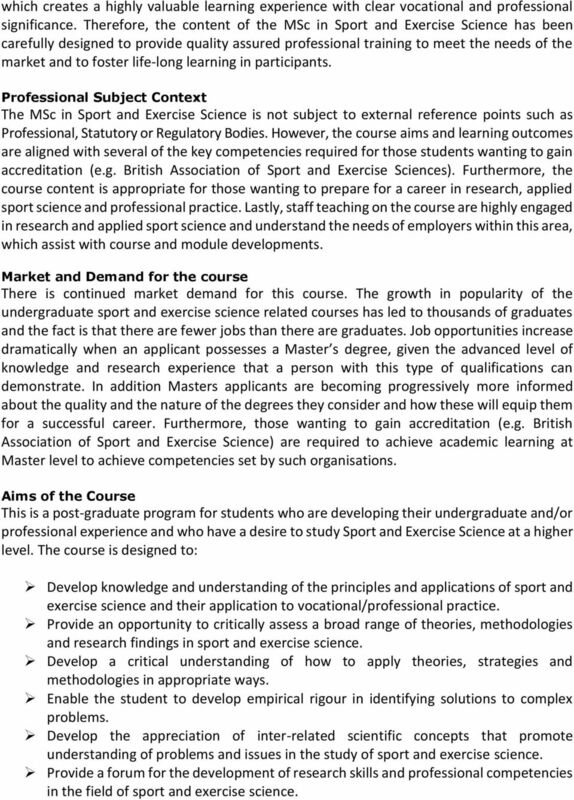 Furthermore, the course content is appropriate for those wanting to prepare for a career in research, applied sport science and professional practice. 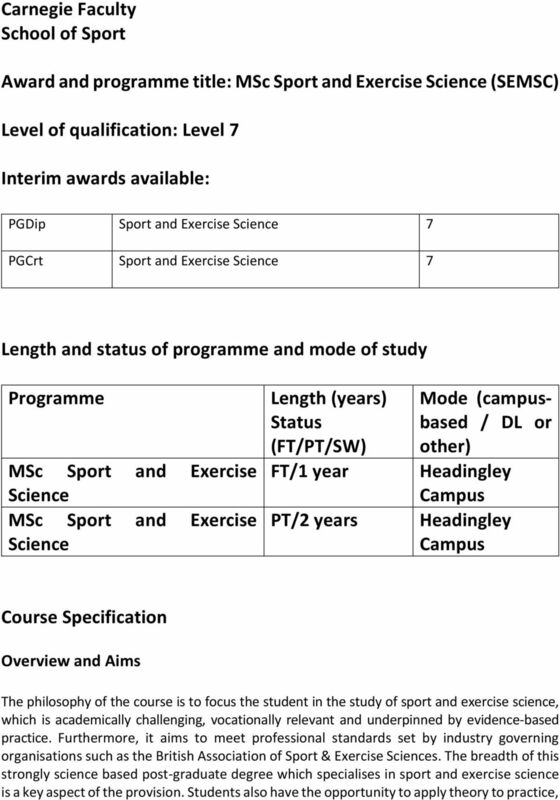 Lastly, staff teaching on the course are highly engaged in research and applied sport science and understand the needs of employers within this area, which assist with course and module developments. Market and Demand for the course There is continued market demand for this course. The growth in popularity of the undergraduate sport and exercise science related courses has led to thousands of graduates and the fact is that there are fewer jobs than there are graduates. Job opportunities increase dramatically when an applicant possesses a Master s degree, given the advanced level of knowledge and research experience that a person with this type of qualifications can demonstrate. In addition Masters applicants are becoming progressively more informed about the quality and the nature of the degrees they consider and how these will equip them for a successful career. Furthermore, those wanting to gain accreditation (e.g. 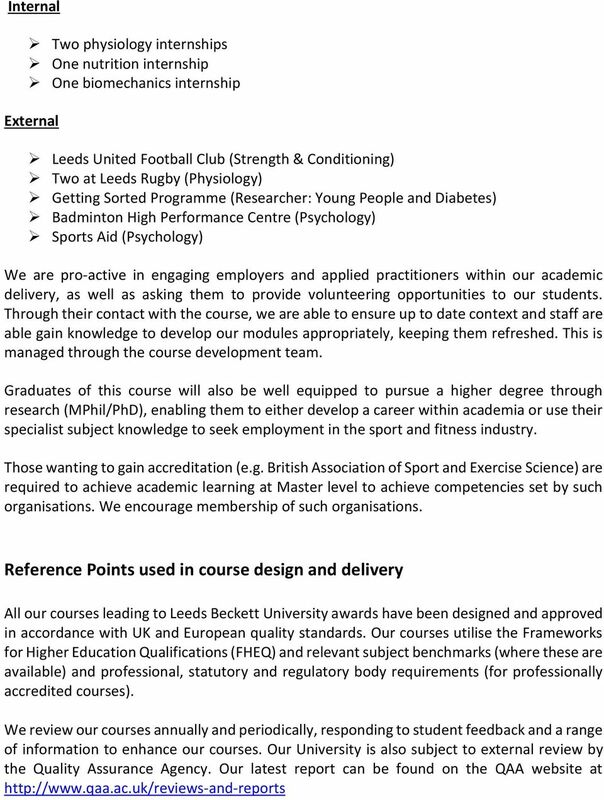 British Association of Sport and Exercise Science) are required to achieve academic learning at Master level to achieve competencies set by such organisations. 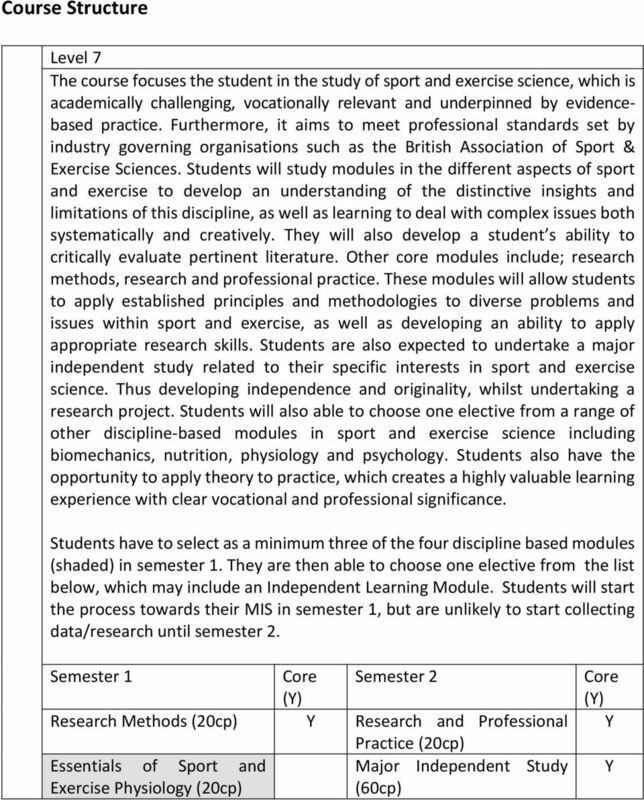 Aims of the Course This is a post-graduate program for students who are developing their undergraduate and/or professional experience and who have a desire to study Sport and Exercise Science at a higher level. The course is designed to: Develop knowledge and understanding of the principles and applications of sport and exercise science and their application to vocational/professional practice. Provide an opportunity to critically assess a broad range of theories, methodologies and research findings in sport and exercise science. Develop a critical understanding of how to apply theories, strategies and methodologies in appropriate ways. Enable the student to develop empirical rigour in identifying solutions to complex problems. Develop the appreciation of inter-related scientific concepts that promote understanding of problems and issues in the study of sport and exercise science. Provide a forum for the development of research skills and professional competencies in the field of sport and exercise science. 4 This programme of postgraduate study will provide students with a training of high academic quality and application to the workplace. 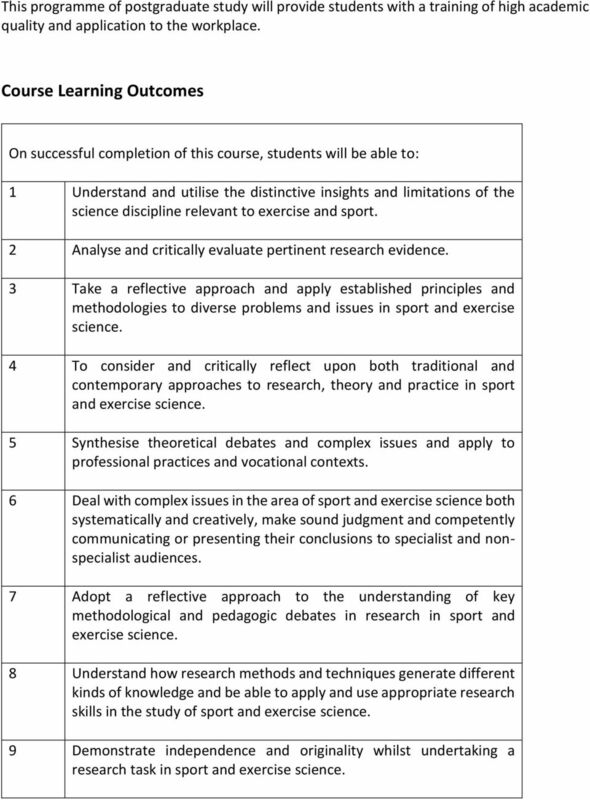 Course Learning Outcomes On successful completion of this course, students will be able to: 1 Understand and utilise the distinctive insights and limitations of the science discipline relevant to exercise and sport. 2 Analyse and critically evaluate pertinent research evidence. 3 Take a reflective approach and apply established principles and methodologies to diverse problems and issues in sport and exercise science. 4 To consider and critically reflect upon both traditional and contemporary approaches to research, theory and practice in sport and exercise science. 5 Synthesise theoretical debates and complex issues and apply to professional practices and vocational contexts. 6 Deal with complex issues in the area of sport and exercise science both systematically and creatively, make sound judgment and competently communicating or presenting their conclusions to specialist and nonspecialist audiences. 7 Adopt a reflective approach to the understanding of key methodological and pedagogic debates in research in sport and exercise science. 8 Understand how research methods and techniques generate different kinds of knowledge and be able to apply and use appropriate research skills in the study of sport and exercise science. 9 Demonstrate independence and originality whilst undertaking a research task in sport and exercise science. 7 is continually enhanced by supporting the professional development needs of the academic members of staff who will facilitate the learning experience. Students will be engaged through a variety of teaching and learning approaches whilst studying the MSc Sport and Exercise Science degree. Challenging and authentic tasks will be used to stretch the student s capabilities in real world learning and assessment resulting in a deeper approach to learning. 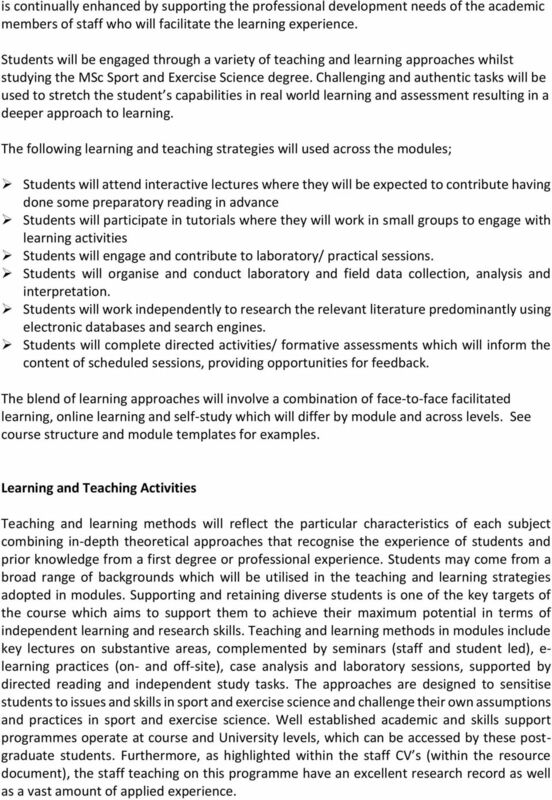 The following learning and teaching strategies will used across the modules; Students will attend interactive lectures where they will be expected to contribute having done some preparatory reading in advance Students will participate in tutorials where they will work in small groups to engage with learning activities Students will engage and contribute to laboratory/ practical sessions. Students will organise and conduct laboratory and field data collection, analysis and interpretation. Students will work independently to research the relevant literature predominantly using electronic databases and search engines. Students will complete directed activities/ formative assessments which will inform the content of scheduled sessions, providing opportunities for feedback. 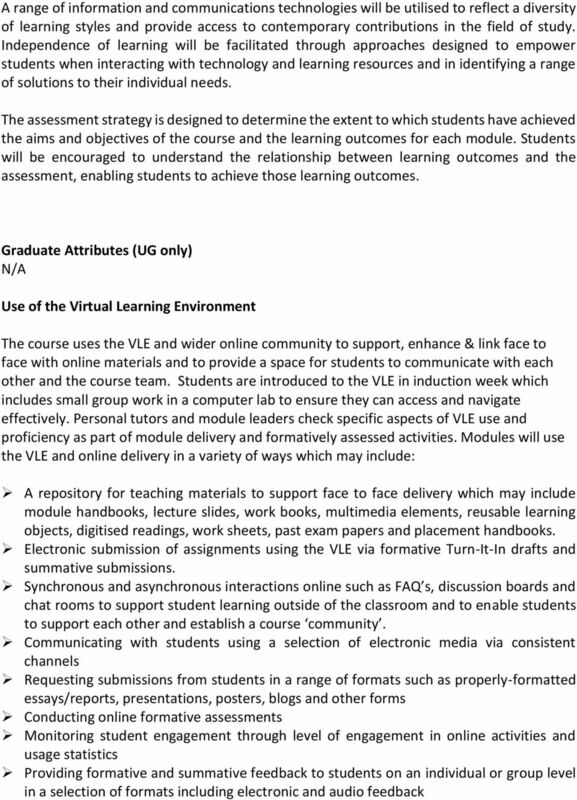 The blend of learning approaches will involve a combination of face-to-face facilitated learning, online learning and self-study which will differ by module and across levels. 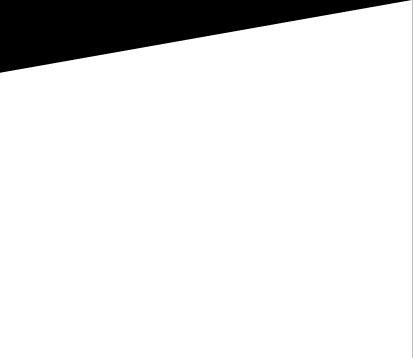 See course structure and module templates for examples. Learning and Teaching Activities Teaching and learning methods will reflect the particular characteristics of each subject combining in-depth theoretical approaches that recognise the experience of students and prior knowledge from a first degree or professional experience. Students may come from a broad range of backgrounds which will be utilised in the teaching and learning strategies adopted in modules. Supporting and retaining diverse students is one of the key targets of the course which aims to support them to achieve their maximum potential in terms of independent learning and research skills. Teaching and learning methods in modules include key lectures on substantive areas, complemented by seminars (staff and student led), e- learning practices (on- and off-site), case analysis and laboratory sessions, supported by directed reading and independent study tasks. The approaches are designed to sensitise students to issues and skills in sport and exercise science and challenge their own assumptions and practices in sport and exercise science. Well established academic and skills support programmes operate at course and University levels, which can be accessed by these postgraduate students. Furthermore, as highlighted within the staff CV s (within the resource document), the staff teaching on this programme have an excellent research record as well as a vast amount of applied experience. 12 We appoint External Examiners to verify that our University sets and maintains standards for awards which adhere to relevant national subject benchmark statements and the FHEQ (UK), ensure standards and student achievements are comparable with other Higher Education Institutions in the UK, with which they are familiar, and ensure that assessments measure achievement of course and module learning outcomes and reach the required standard. External Examiners may also provide feedback on areas of good practice or potential enhancement. Course Specification. 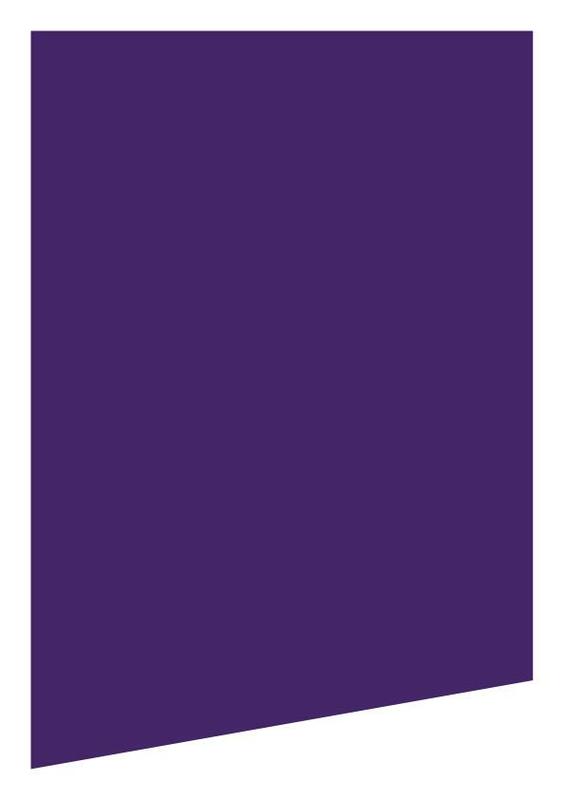 PGCE Early Childhood Care and Education (0 5 years) with recommendation for EYTS 2016-17 (PGECC) www.leedsbeckett.ac. The educational aims provide the over-arching structure to the course, together with also establishing its key philosophical underpinnings.